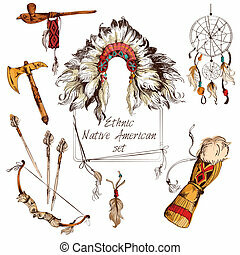 Ethnic native american set. 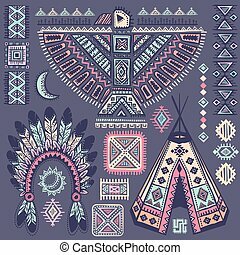 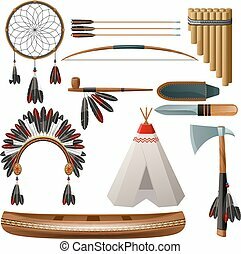 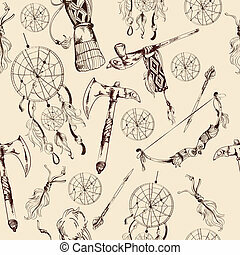 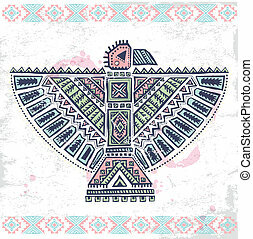 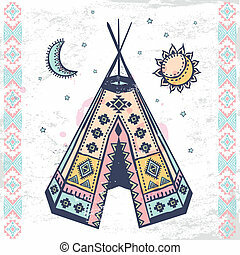 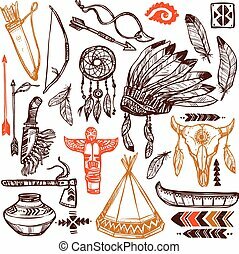 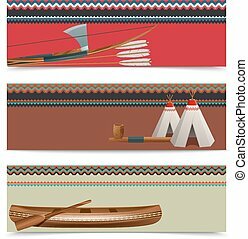 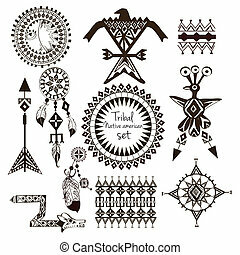 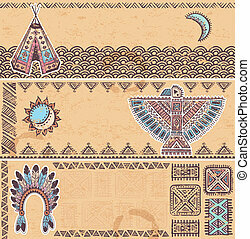 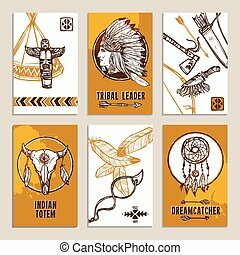 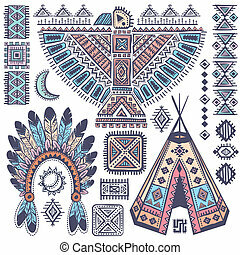 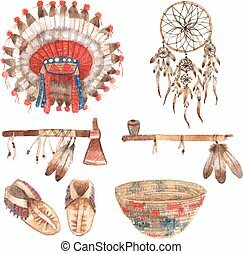 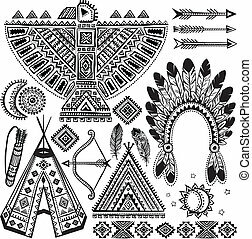 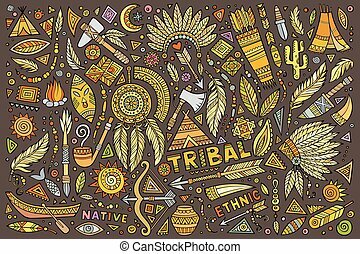 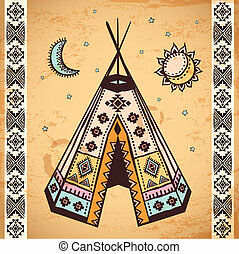 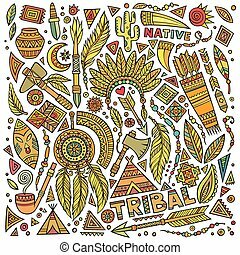 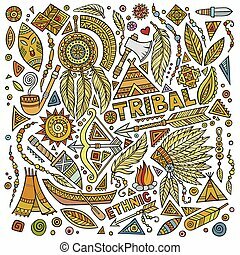 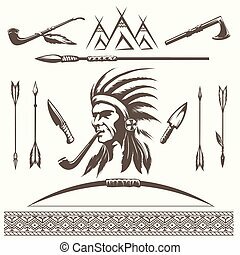 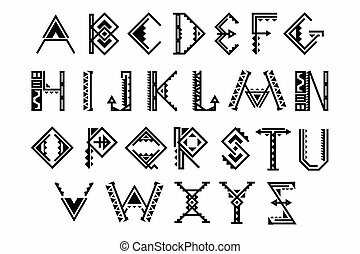 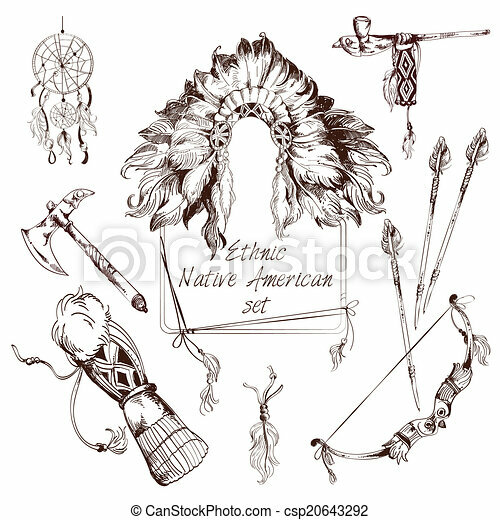 Ethnic native american indian tribes sketch decorative elements set isolated vector illustration. 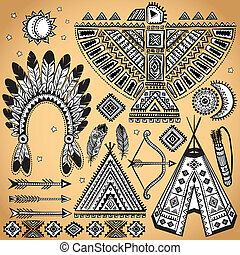 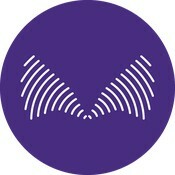 American indian vector logos collection. 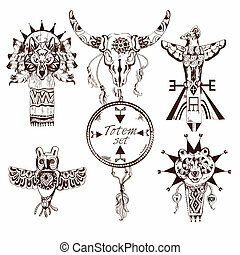 Cool hand drawn sketchy badges and labels. 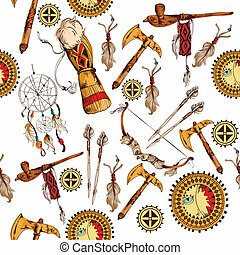 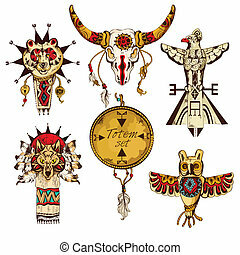 Feather headdress, totem, teepee, arrowhead, tomahawks.